Works while your cabinet is resting! 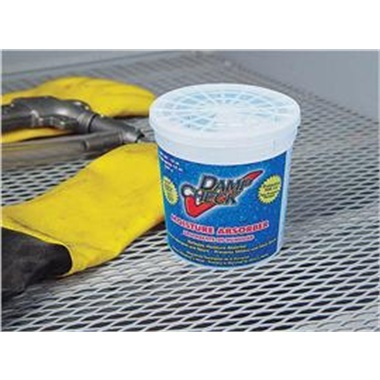 When humidity rises in your shop, your abrasive can become moist and cause clogging and poor results. Moisture Absorber Kit prevents moisture from accumulating in your abrasive when cabinet is not in use. Easy to use: Simply fill Moisture Absorber Unit with enclosed absorbing media and place inside cabinet on grid system when not in use. Absorber Unit features inner-basket-design, which holds media and separates collected moisture. As moisture is absorbed, it can be dumped out of bottom container. Dry media stays on top and dissolves as moisture is absorbed. When ready to blast, remove Moisture Absorber Unit and set on your shelf. When finished, place back in cabinet. 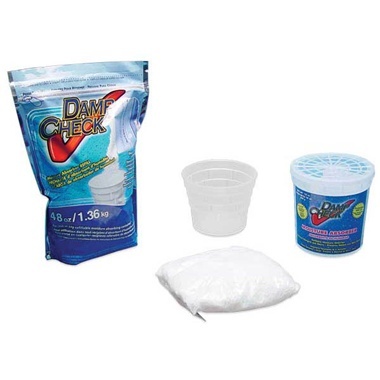 Kit includes: Moisture Absorber Unit with initial media fill and 48-oz refill bag. Made in USA. Also works great in automobiles when storing or any damp location.